Milano Hostel i Kairo, Egypten : Boka nu! Designed for both business and leisure travel, Milano Hostel is ideally situated in Downtown Cairo; one of the city's most popular locales. From here, guests can enjoy easy access to all that the lively city has to offer. 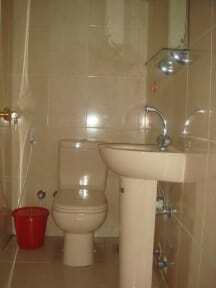 This modern hotel is in the vicinity of popular city attractions such as Egyptian national Mussem . Take advantage of a wealth of unrivaled services and amenities at this Cairo hotel. The hotel offers access to a vast array of services, including 24-hour room service, free Wifi. We are located in one of the best places of the city, near to some of the finest attractions and landmarks of the city such as 6th October Bridge, Al Azhar Park, Salah El Din Al Ayouby Citadel and Egyptian Museum, amongst other important and relevant spots of the city. All guestrooms feature a variety of comforts. Many rooms even provide internet access – wireless, internet access – wireless (complimentary), non smoking rooms, air conditioning, wake-up service to please the most discerning guest. The hotel's recreational facilities, which include billiards, karaoke are designed for escape and relaxation. 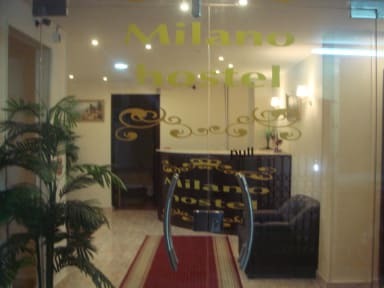 Discover an engaging blend of professional service and a wide array of features at Milano Hostel.